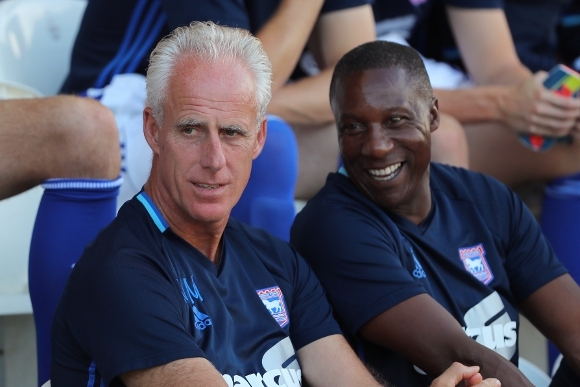 Mick McCarthy said his side would “mix it up” when it comes to Ipswich Town’s style of play this season after a Brett Pitman goal gave the Blues a 1-0 friendly win over Colchester United. Pitman scored in the 39th minute after latching on to a long through ball by Paul Digby which cleared the Colchester defence. McCarthy, who revealed the club remained in discussions with potential new signings, said: “We had loads of fans here and they want to see us win. "I think they have seen us play some decent football, trying to develop it a bit better, because at the end of last season, it was annoying me a bit – I wasn’t enjoying it. “But yet the goal we got was a ball stuck in behind. If you have space in the middle of the park and willing runners, you can’t stop doing that. “Strangely enough their best chance was at the end of the game when they stuck one in behind us. You have to mix it up – you can’t be all one and you can’t be all the other. 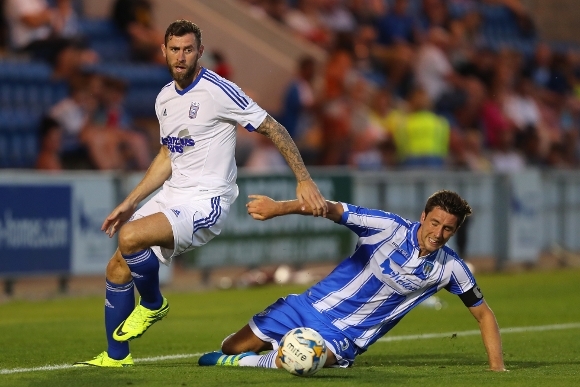 While the style of Ipswich’s play remains a hot topic among fans, so does the lack of new signings – though Adam Webster played his first minutes in a Town shirt at the Weston Homes Stadium. 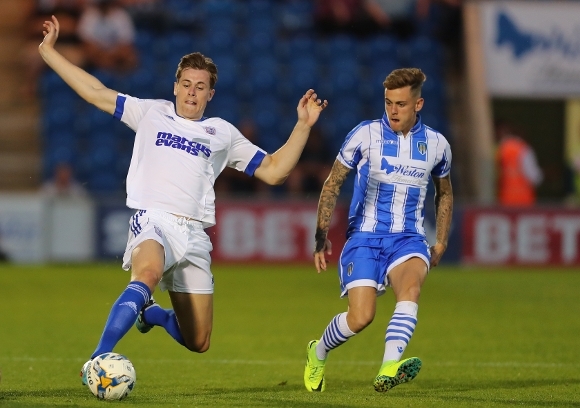 While revealing discussions were ongoing, McCarthy wasn’t exactly adamant he would be bringing in more recruits ahead of the season opener against Barnsley on August 6th. He said: “Potentially there are a few loans, a few permanents, but we will see. We are in discussions with different people. “There are some real big spenders in our league this year who are doing all the deals and there are a few of us beneath that who are trying to manufacture deals or maybe swaps or free transfers, if someone wants to get someone off the wage bill. Until we are handed our first big defeat. Then we will panic again and become solid and boring and hoof it. You'd be the first to moan on here if MM stuck to pretty tippy tappy football and losing games. The poor bloke is damned if he does and damned if he doesn't. The new away kit looks great, however. "...there are a few of us beneath that who are trying to manufacture deals or maybe swaps or free transfers, if someone wants to get someone off the wage bill. That’s where we are at ... that’s the way it is..."
Oh dear, just as we suspected all along. Near zero ambition to be shown by ME again this season. Essentially, we're going to have to rely on cast-offs and bargain basement bung out players! And Mick seems happy enough to operate in such a manner rather than rock the boat with our great leader by demanding greater financial backing. When Marcus says jump, Mick says, "How high?" After those statements.........looks like this will be my last season with a season ticket....I know the season hasn't even started yet but by enthusiasm is going down by the minute. No signings, no ambition, no direction, every one of the rivals are investing and this team of journeyman will never ever get promoted, not any good last season, what makes him think they are good enough this year!! I'm at a loss! so potentially a few loans and permanents. So potentially were signing nobody. Waiting for clubs to offload their rejects again. Mick says we'll mix it up a bit I.e. play creative football and effective football whatever is required at the time (what you've been crying out for) and you're still moaning. He says hes trying to sign people and that isn't good enough?!?! Mick is the best man to achieve things at this club in this current state in my opinion. He git us to the playoffs once with this team why not again?!?! The least we can hope is that MxCarthy has been told that hoofball is not acceptable and his pathetic quote about mixing it up is his way of thinking up this imaginative idea. He was getting a bit fed up with it - unbelievable = what do you think ITFC football fans made of it , you idiot. I know we haven't kicked off yet but McCarthy will take us nowhere - the day he goes cannot come too soon. I wonder if MM is playing down on the transfer fromt so as to keep the real budget under wraps. Perhaps we will bring in 4 players all on the same day having done our business quietly. It would be a good idea and outcome if i truly believed that is the current plan. The reason MM has said he will mix it up is the season ticket sales have gone down and at last he may be listening to the fans, but along with that he needs to sign somebody with a bit of leadership and spark in the team to help the team grind out results ,rather than drawing games and letting in a last gasp equalizer, we are missing a leader. It is funny watching you lot struggling to find something to moan about with each passing story. Nothing Wrong with a long pass, what i and many others have a problem with is players lumping the ball upfield as a given without even lifting their head to look for someone to receive it. We actually could play football and get results as well! 'We'll be mixing it up ' - high hoofs & low hoofs ? We have not made any progress whatsoever under MM.We just seem to huff and puff our way through each season with promises of signings,speculation from our Milne and nothing else.How can you expect the supporters to get enthusiastic.At the moment I just dread the season starting and it hurts me to say that for a club I have supported for over 50 years. Would imagine at the very least he's looking to bring in a wide man before the season kicks off. Don't forget we have some promising youngsters coming through this season, coupled with a fit McGoldrick? and Bishop it's not all doom and gloom. Lets see where we are at in two weeks time. A couple of the right signings and we'll all be (well most of us!) upbeat again. McCarthy has got a whole heap of "Plain Flour"
Mick knows one way of playing and that's Hoof ! Presumably still Chambers at RB??? I tell you what why doesn't Mick say I have 10 Million available and everyone we try and sign will turn round and ask for double wages and the clubs double transfer fees. We are not a profitable club and our owner can only put 5 Million into the club per year. Or option 2 we go and splash the money make a massive loss and IF we fail to go up we get a transfer embargo get relegated and go into Administration so then get relegated again!!! If you don't like McCarthy fine I am not a great fan but prefer the situation we are in now to the mess we were in under Roy Keane obviously some on here would rather have him back. I would love ME to splash the cash but he cant.Maybe some of you should just put your hand in your back pocket stump up the 120 Million to buy the club. When ME bought the club we were days from Liquidation which would mean no ITFC.